Band stretches on ground for legs into band stretches on rig for arms. * We will work as partners, with each duo having one person “living” and one person as a “zombie”. The living group will go 2 minutes ahead of the zombies. If the zombie catches the living then the one caught has to do 25 burpees. For the second WOD, the living will become the zombies and the zombies the living. *Gabe’s Baby Shower WOD is postponed until a later date. **Best of the Wurst competition Saturday Nov 10. 10am class will be going on that day. 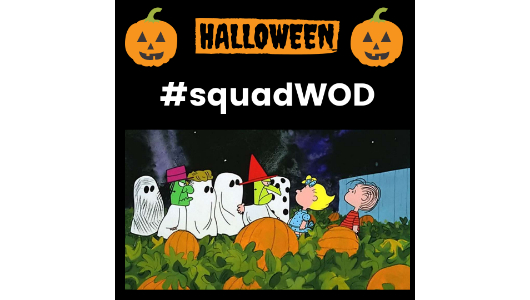 HALLOWEEN #squadWOD WOD in your Costume! Your “PUMPKIN” is a (20/14) Wall ball. *Paleo Challenge: weigh-in starting Friday. Halloween WOD @ 10am. 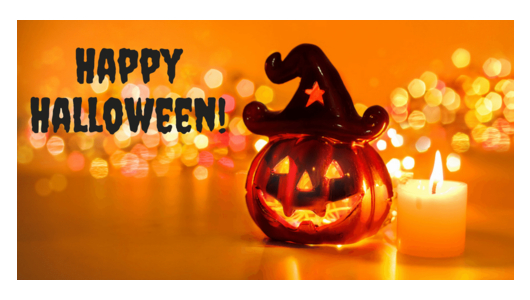 WOD in your costume!